Major League Baseball and HBO have re-partnered for the second year in a row and are doing a co-branded promotional campaign on a national level. Before the partnership, the MLB already had a relationship with HBO, as their BAMTech technology supports the HBO Now streaming service. But when HBO wanted to engage more with baseball fans and promote the upcoming season of Game of Thrones, they teamed up with the MLB to give baseball fans around the nation Game of Thrones/MLB promotional products. Last summer, the partnership brought some great baseball/Game of Thrones promotions to MLB fans. More than 20 MLB ballparks hosted Game of Thrones cross-promotions like bobbleheads, Snapchat filters, co-branded T-shirts, and more. And with these promotions came some serious results. Through social media, their website, and targeted ads to Game of Thrones followers, the Milwaukee Brewers sold out all of their 3,600 special-event tickets. According to their analytics team, the Brewers determined that 25 percent of the tickets sold were to people who would’ve never attended a game at Miller Park if not for the theme. The 21 teams that staged a “Game of Thrones” night saw an average attendance increase of 10.4 percent compared to the teams’ season-long average on the same night of the week. During the themed games of 2017, an estimated 58,220 branded items were distributed to fans who bought special-event tickets. To get fans excited about the current season and to promote their renewed partnership with HBO, the MLB posted this Game of Thrones/MLB cross-over video. One of the more popular promotional products from last summer’s season is the bobblehead of pitcher Chris Devenski riding a dragon. The fans who bought a special ticket received the bobblehead at the door. Using this product as a clever twist on Devenski’s nickname “The Dragon” got fans extra excited for the game. Bobbleheads are extremely popular promotions for the MLB. General-admission bobblehead giveaways gave teams an average attendance increase of 55 percent last year, compared with same-day games that did not have a promotion, according to data provided by MLB. 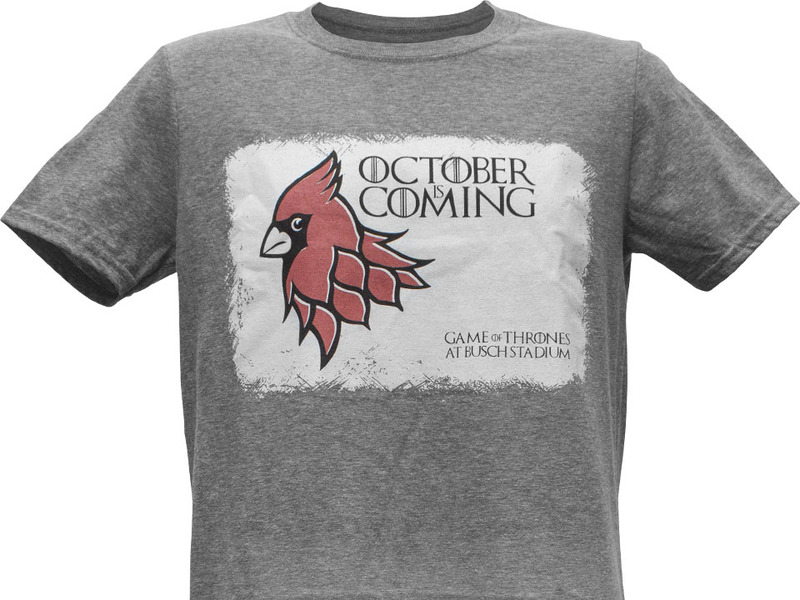 The St. Louis Cardinals gave this Game of Thrones-themed shirt to all the fans who bought tickets to the special event. And as an extra bonus, people who bought special tickets also got to take a photo with an official Iron Throne. 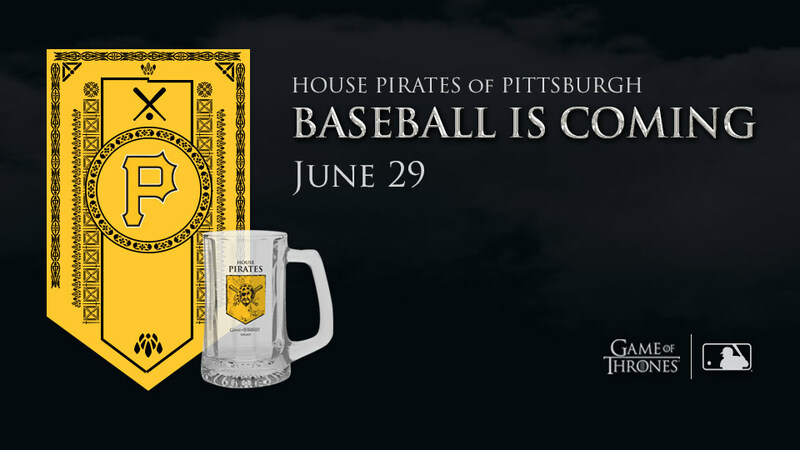 Like the Cardinals, the Pittsburgh Pirates are also joining in on the Game of Thrones fun. Last year, they gave the fans who bought a special ticket a glass beer mug with a “House Pirates” crest on the front. Because what says baseball and Game of Thrones more than a giant stein of beer? 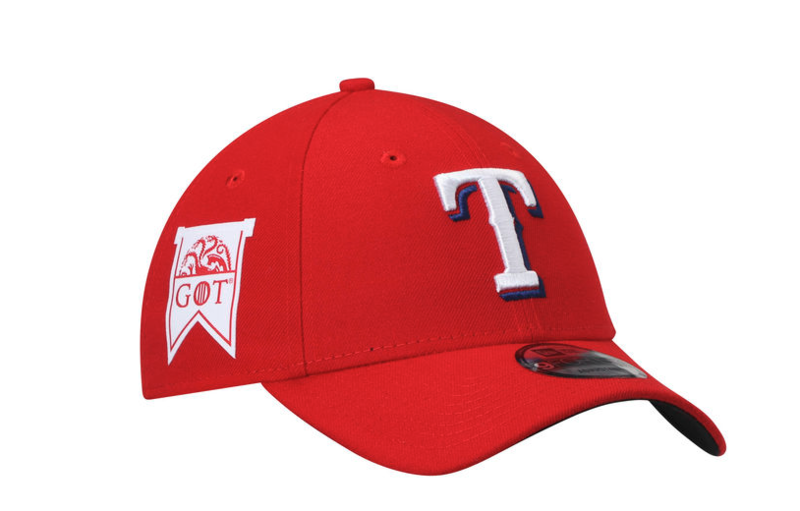 As a repeat promotion from last year, fans can once again buy baseball caps of their favorite team that also sport a Game of Thrones banner. These adjustable caps not only come in every team logo that participates in the Game of Thrones-themed games, but you can also buy them directly online. …Major League Baseball has given its fans something to look forward to! Are these promotional products getting your creative juices flowing? Find other promotional product and campaign ideas in last week’s blog post.